Derbyshire have appointed MCC head coach Steve Kirby as the county's new assistant and bowling coach. The 41-year-old Lancashire-born former Yorkshire, Somerset and Gloucestershire fast bowler will work with Derbyshire head of cricket Dave Houghton and head of development Mal Loye. Kirby is Houghton's first appointment since returning to the county. 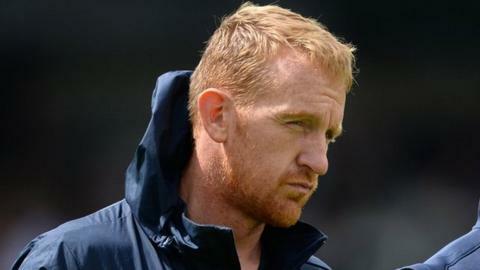 "We're lucky to attract a coach of Steve's quality and experience to Derbyshire," said Houghton. "Steve is a passionate guy and shares the club's vision for the future. He is highly regarded and has done a lot of good work during his time as head coach at the MCC." Kirby took a combined total of 797 wickets in a 12-year professional career that earned him selection for England A and England Lions in all three formats of cricket.